Israeli exit polls indicate prime minister Benjamin Netanyahu’s Likud and the rival Blue and White party are locked in a race that is too close to call with both sides claiming victory minutes after voting ended. 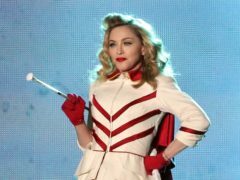 Madonna has been urged to abandon reported plans to perform at this year’s Eurovision Song Contest. Israeli Prime Minister Benjamin Netanyahu has pledged to annex Jewish settlements in the occupied West Bank if he is re-elected. A fourth young Palestinian has died as tens of thousands of protesters gathered near the Israeli border to mark the first anniversary of weekly demonstrations in the Gaza Strip. Israeli researchers have surveyed what they now believe to be the world’s longest salt cave, a network of twisting passageways at the southern tip of the Dead Sea. Hamas’ supreme leader has made his first public appearance since a new round of cross-border violence with Israel this week. Members of a British-Israeli family in the Middle East have been injured after a rocket was apparently fired from the Gaza Strip amid continuing violence between the Palestinian territory and Israel. 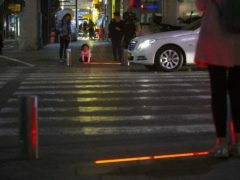 Israel has begun responding “forcefully” to a rocket attack from the Gaza Strip, the country’s prime minister has said. The Israeli military has said it is reinforcing its troops along the Gaza border and calling up reserves after a rocket attack on an Israeli home. President Donald Trump has said it is time for the United States to recognise Israel’s control over the disputed Golan Heights. Israeli warplanes struck some 100 Hamas targets in the Gaza Strip on Friday in response to a rare rocket attack on the Israeli city of Tel Aviv. The Israeli military says it has begun attacking sites in the Gaza Strip in response to a rocket attack on Tel Aviv. Campaigners have protested at the headquarters of Ireland’s national broadcaster calling for them to boycott Eurovision. 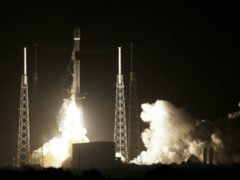 An Israeli spacecraft rocketed toward the moon for the country’s first attempted lunar landing, following a launch on Thursday night by SpaceX. 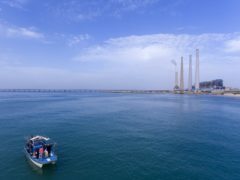 Scientists in Israel hope a discovery could offer a rare glimmer of hope for the world’s coral reefs. 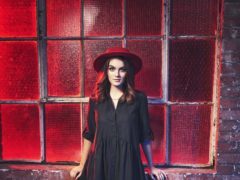 Former X Factor and Britain’s Got Talent hopefuls are vying to represent the UK in the Eurovision song contest. 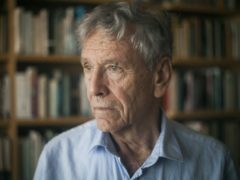 Tributes have been paid to Israeli author Amos Oz after his death from cancer at the age of 79. Scotland boss Alex McLeish hailed James Forrest after his hat-trick secured top spot in Nations League Group C1. Scotland boss Alex McLeish insists his squad understand the significance of beating Israel tonight and is confident they will rise to the challenge. Aberdeen skipper Graeme Shinnie insists he will take nothing for granted, despite finally becoming established in the Scotland set-up. Gary Mackay-Steven says he is happy at Aberdeen and open to staying with the club. Mikey Devlin is an injury doubt for Scotland's double header against Albania and Israel in the UEFA Nations League. Mikey Devlin was outstanding on Friday in the 1-0 win at Pittodrie. Scotland boss Alex McLeish has called four Aberdeen players into his squad for the upcoming crunch UEFA Nations League matches with Albania and Israel. Scotland's performance against Portugal was an improvement from the 2-1 loss to Israel in Haifa – if it wasn’t we’d have real problems. Aberdeen's Mikey Devlin and Gary Mackay-Steven have been called up to the Scotland squad for tomorrow's friendly against Portugal at Hampden.